By using concrete not only as a functional medium but as a decorative and color enhancing medium we have decorative concrete. Decorative concrete can transform what would otherwise be a grey dry slab of concrete and turn it into a vibrant, powerful and designer element that can be used in homes, businesses, and commercial applications everywhere. 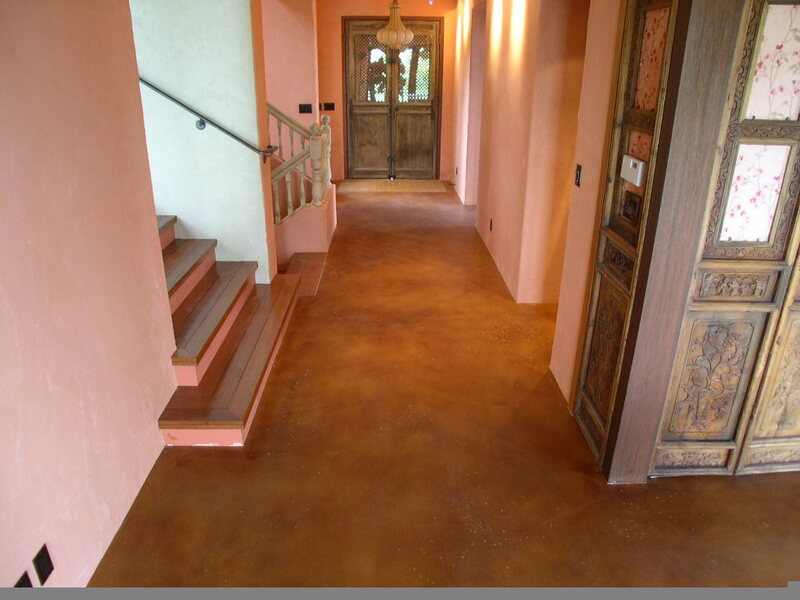 Decorative concrete can include, stamped concrete, polished concrete, concrete countertops, acid stained floors, vertical concrete, textured microtoppings, specialty coatings, epoxy, and even more. You will often find decorative concrete anywhere you have existing concrete like, patios, driveways, pool decks, floors, and now the ever more popular concrete countertop. Let’s take a look at some of the ways you can make concrete ‘decorative’. This is really the product that started it all. 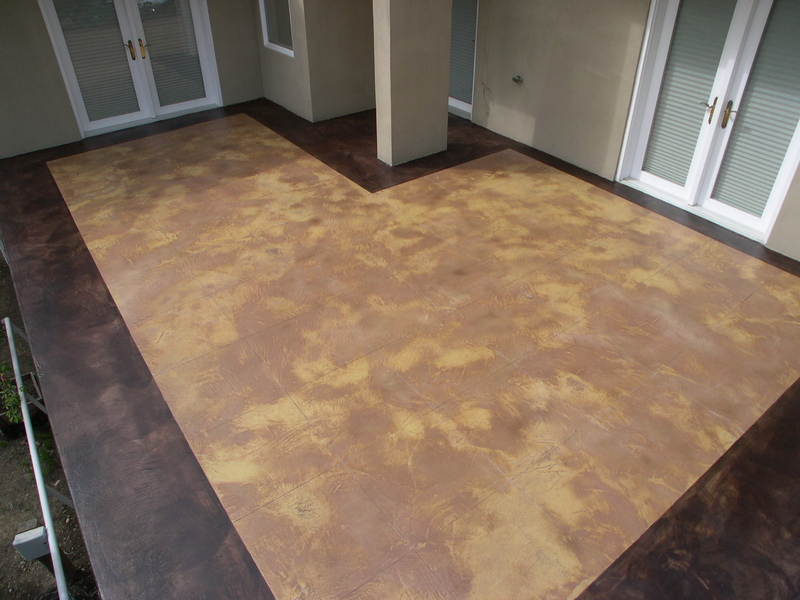 Acid stain is a liquid coloring agent that when applied to a concrete surface will etch into and permanently change the color of the concrete. It became a popular choice for home and business owners who wanted a cost effective yet powerful looking floor finish to compliment a variety of designs and looks. 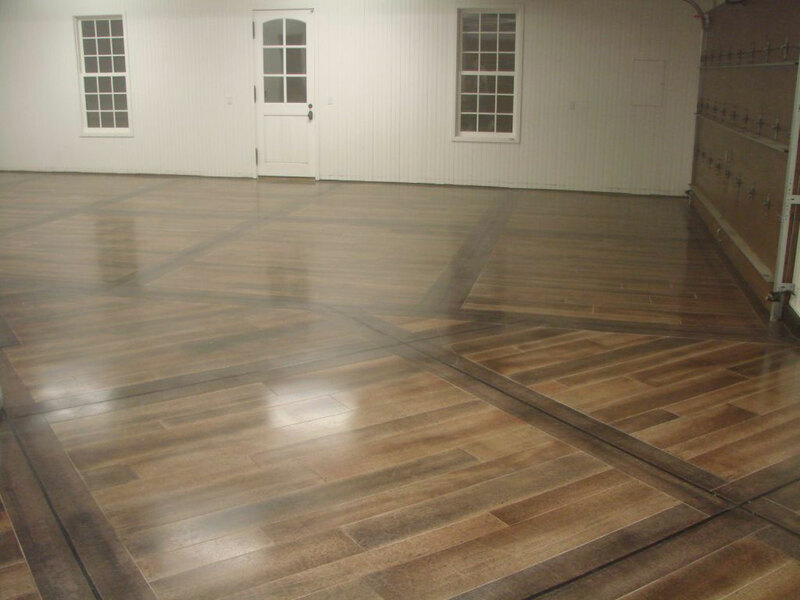 Acid stain provides natural earth tones and often resembles a marble or stone appearance when finished. Acid stained concrete can be left as is or sealed with any number of sealer choices that can include, gloss, matte or even incorporate anti-slip additives. 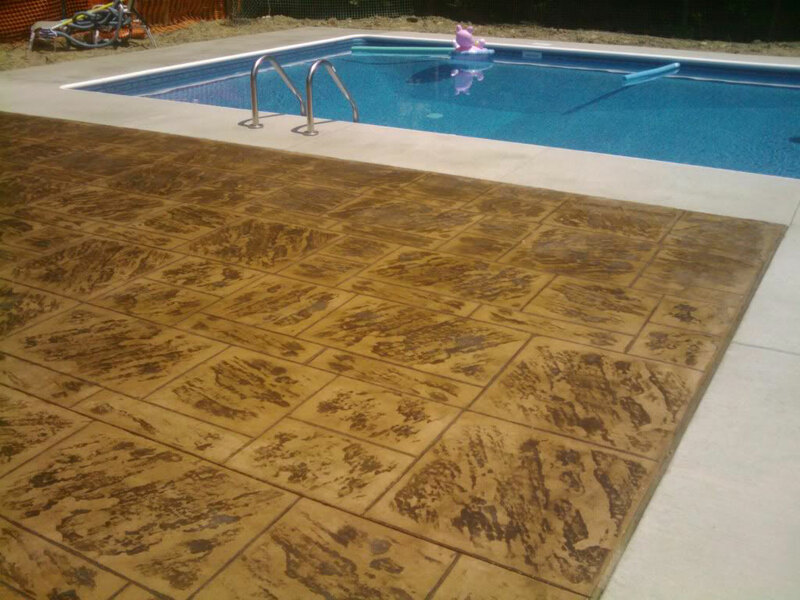 Stamped Concrete is concrete that has gone through the process of being imprinted or embossed with a pattern and texture to make it resemble other natural materials like, stone, rock, wood, slate, tile or other patterns. Stamped concrete is done while the concrete is being poured and placed. There is a window of time when the concrete is soft enough to be stamped while it is set enough to hold the pattern. The molds used are often rubber and are applied in a ‘leap frog’ type of application, moving from one end of the setting concrete to the other. 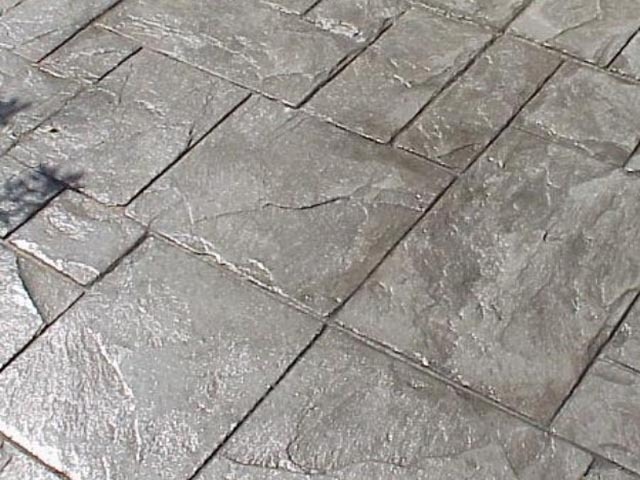 Stamped concrete can also be achieved on old or existing concrete by means of using a stampable overlay product, essentially a thin new layer of concrete that can then be stamped. Light over dark micro-topping installation on a patio. Concrete overlays are thin resurfacing systems designed to create a thin new veneer over old or damaged concrete giving it a new and updated look and appearance. Overlays come in a variety of thicknesses and uses. Some concrete overlays are thicker for stamping, while others are paper thin for simple resurfacing and color changes. Concrete resurfacers when installed correctly can lat for decades. With proper surface preparation usually including shot blasting, grinding or acid etching the concrete overlay will bond tenaciously to the substrate and provide years of use. A variety of surface finishes are possible with concrete overlays, including: Stamped concrete, slate hand troweled texture, splatter knock down, polished concrete, and many more. Color Flake – Used to create a decorative pattern while providing an impact resistance for garage and commercial floors. Quartz – This hard material when added to epoxy creates a tough, rugged surface coating that can handle the toughest impacts, temperature fluctuations, and chemicals. Often used in food and beverage facilities where cleanliness and durability is of utmost importance. Metallic Epoxy – This relatively new material is used to create a special metallic effects in epoxy coatings. The metallic powder is blended into the epoxy and can be layered and combined with other colors creating a shimmering 3D effect under the epoxy coating. Concrete polishing is done by using concrete polishing pads that are progressively finer in abrasion and can take a dull concrete surface and add a shine simply by passing over it with finer and finer pads. 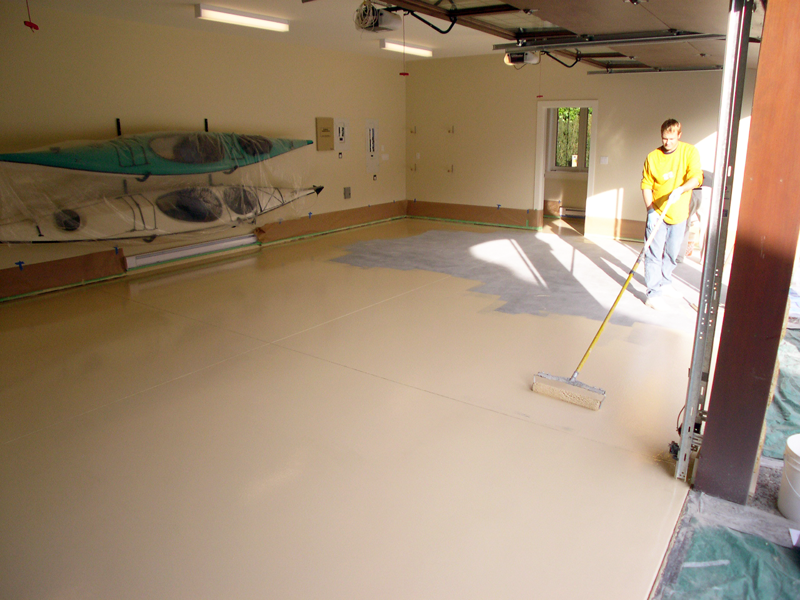 Done either wet or dry concrete polishing is one of the most durable and low maintenance floor options available today. Even though the concrete’s surface is shiny, it does not have a surface coating that can be damaged or peel off. Polished concrete can be densified and hardened so that the surface is made to be even harder than the concrete below. With modern dyes and stains experienced concrete polishing experts can add color and patterns to polished concrete taking it to an entirely new level.